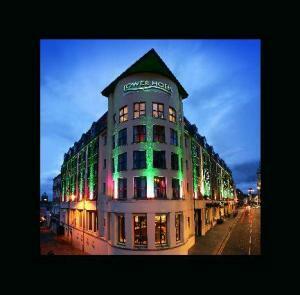 Choose from 12 hotels and guest houses in Derry. Shown below a just a selection of the hotels available. To search within an area please use the menu on the right. A haven of peace and tranquillity, this newly-built house nestles amid the trees of its own private grounds, spanning over one acre, in Londonderry's rolling picturesque countryside. Tastefully furnished in warm, relaxing colours, Groarty Manor provides 6 comfortable en suite rooms, one of which is set on the ground floor and offers disabled access and disabled bathroom facilities. The residence is within the grounds of the 200-year-old Groarty House, which boasts a sun-flooded conservatory with panoramic views across Derry and the surrounding areas. The house has been designed to be environmental friendly. It is heated with a 50 kw log burner and solar panels. The bedrooms are individually zoned with their own heat sensors. The perfect base to enjoy golf on the North Coast of Ireland, this charming country inn is located within easy reach of Royal Portrush, Portstewart and Castlerock Golf Courses. During your stay you can enjoy the countless natural attractions found nearby, including: the Giant's Causeway; the Glens of Antrim; the Antrim Coast Road; and the mighty sea cliffs at Binevenagh. Derry City and Limavady are only half an hour to the west and Coleraine, Portrush, Portstewart and Ballycastle the same distance to the east. Owned and managed by the O'Hara family for 4 generations, the Brown Trout Golf and Country Inn has comfortable, friendly accommodation in one of the most beautiful parts of Ireland. Their mission is to create lifetime customers through excellent service. 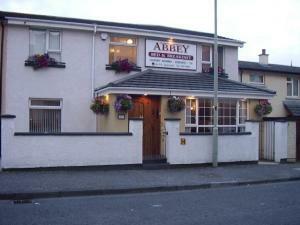 The Abbey Bed and Breakfast is situated in the centre of the maiden city. It is the ideal accommodation for travellers looking to visit & explore this wonderful & historic location. Winner of North West Guesthouse of the Year 2004 and 2005. All rooms are en suite with tv. The Abbey is the only city centre b&b with Category 1 disabled access and disabled bathroom facilities on the ground floor. 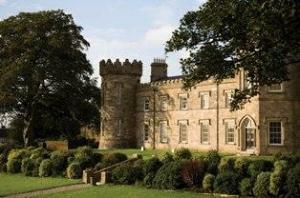 We hope you enjoy your stay and look forward to meeting you in the Abbey Bed And Breakfast. Internet access available. This stylish, award-winning 4-star establishment is the only hotel located within the historic city walls, occupying a unique central location just off the Diamond. 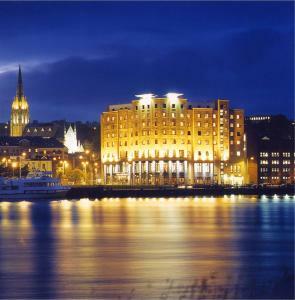 Open since May 2002, it has won a number of awards including an AA Rosette and RAC dining award for the restaurant, making it one of the most popular hotels in Derry. Just a short taxi ride from the airport, the Tower Hotel is within walking distance of all local amenities, such as shopping and entertainment or theatres and museums. Featuring well appointed, warmly decorated rooms, equipped with convenient facilities such as cable TV and direct dial telephones with voice mail messaging. Elsewhere on site, you can take advantage of a cafe style bar (with bar food), an award winning Mediterranean bistro, 5 designated conference suites, a fitness suite with sauna and a private on site car park. 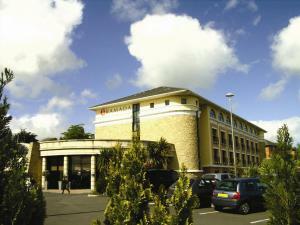 On the banks of the River Foyle, a 5-minute drive from the city centre, the modern 4-star Everglades Hotel has free on-site parking, a bar and an award-winning restaurant. Hastings Everglades is next to a golf course, close to the centre of Derry. Everglades is also within reach of beautiful beaches and hills in County Donegal, and the superb Sperrin Mountains. Fresh local ingredients are prepared in the award-winning Satchmo's Restaurant. You can also enjoy a snack or a pint of Guinness beside the fire in the Library Bar. Why not stay for Sunday Lunch in the beautiful Grand Ballroom? The closest hotel to the City of Derry Airport, this contemporary accommodation is situated in the townland of Campsie, just minutes away from the centre of Londonderry. The ideal choice for early morning flights or as a base to explore the delights of North-West Ireland, the Best Western White Horse Hotel is within easy reach of Derry's ancient walls, the North Antrim coast and the Sperrin Mountains. In the evenings, the White Horse provides a range of facilities, including a bar with live music on the weekend; a comprehensive leisure club with a pool, steam room and sauna; and a modern bistro restaurant. New and stylish, the Waterfoot Hotel in Londonderry offers many great facilities: modern accommodation, a contemporary wine bar and restaurant, an intimate snug bar and free car parking. 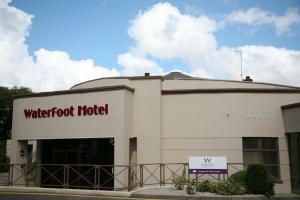 Waterfoot Hotel is on the east bank of the River Foyle (Waterside), a 5-minute drive from the city centre and within easy reach of many attractions. Bedrooms feature free Wi-Fi, a flat-screen TV and plenty of modern, useful facilities. For private functions or weddings there is a smart and elegant banqueting room, as well as modern conference facilities.